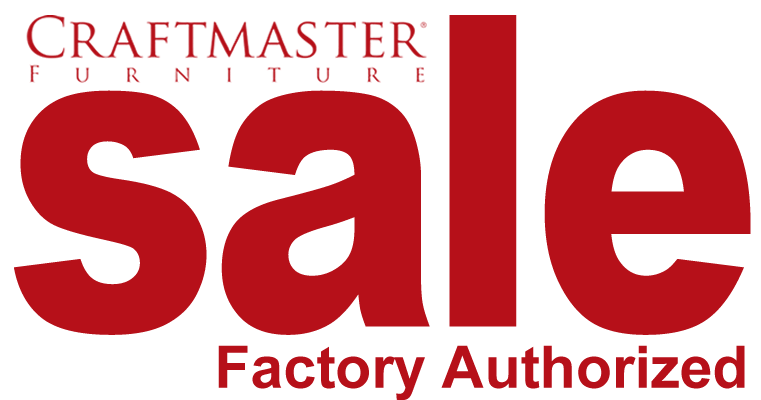 For a limited time, during the Craftmaster Factory Authorized Sale, receive a Factory Authorized Discount of 40% off all quality, American made Craftmaster upholstered sofas, loveseats, chairs, ottomans, and recliners... choose from our large inventory or have it made just for you in your choice of fabric and style. The Paula Deen Home collection by Craftmaster is included in this sale! One of the great things about Paula is what you see is what you get. Everything she designs reflects her Savannah heritage and style. So when you hear about Paula's furniture, you know what to expect. You won't find anything fancy or fussy... just thoughtful pieces that are classic and comfortable, with a good measure of function and a dash of fun. See the collection at Factory Authorized savings during the Craftmaster Factory Authorize Sale going on now at Gilberg Furniture. In stock or custom order... it's all on sale!